Since opening their doors, the Dickson Street Pub has been enjoying full blown success every night of the week. Come take part in that success by cooling your heels down in the street-level Pub, or take in the spectacular view (and a few beers!) up on the rooftop patio (formerly known as our Veranda Wine Bar). You can decide for yourself whether the Pub has made a name for itself for its unique venue, its attentive service and friendly staff, its fantastic selection of drinks and food, its weekly live music events, or maybe you’ll decide it’s a healthy combination of all of the above! the Pub is the coziest spot on Dickson to enjoy a conversation with friends over a cold pint. 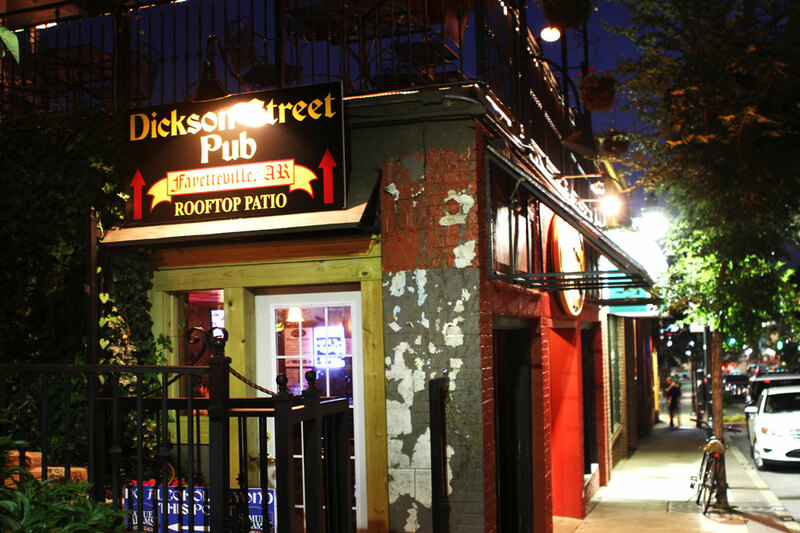 Whether it’s one of the 50+ craft beers we import from around the world, a draft from a local brewer, or a Mason jar of our famous Hog Punch, you’ll comfortably discover Dickson Street Pub to be your favorite place to cheer on the victorious Razorbacks! 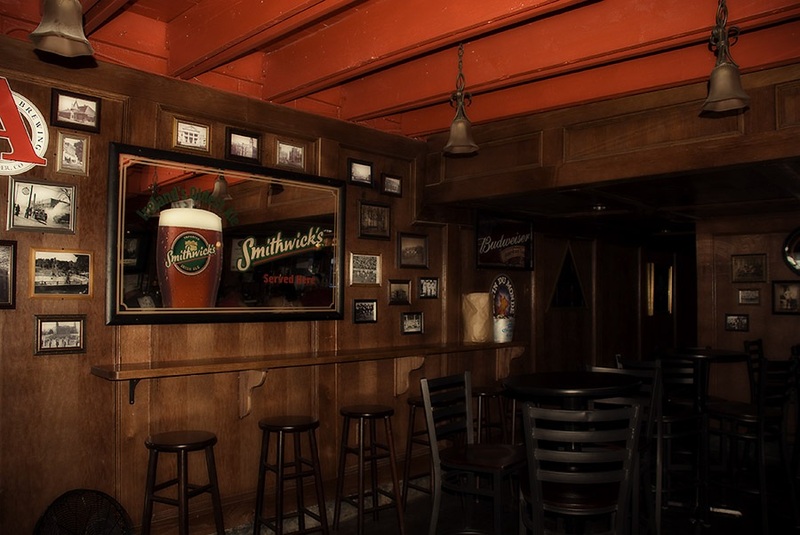 Stop on by and relax on the patio or settle into the rich surroundings of the Pub below, and enjoy the hospitality of our attentive and knowledgeable bartenders. 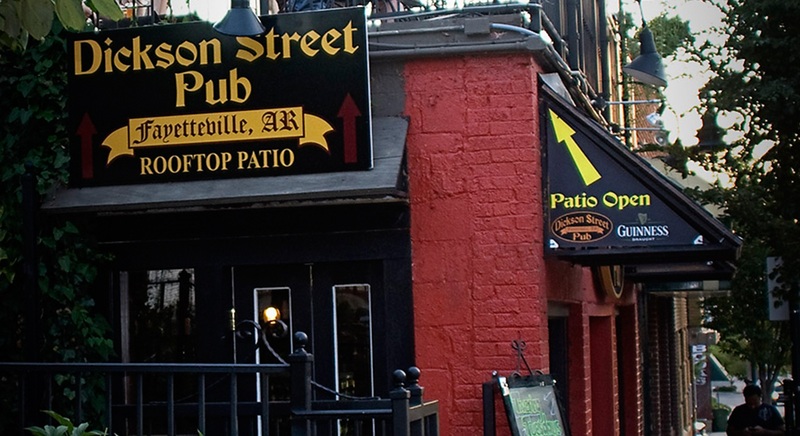 The Dickson Street Pub has live music that begins at 7:30pm and continues until 11:30pm.